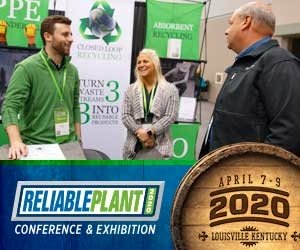 When I go to a plant to examine its current lubrication practices, among the first things I look for are oil sight glasses. These devices provide a wealth of information in the time it takes to walk up to a component and check it. More than just simple additions to a machine to indicate there is enough oil in the sump for proper lubrication, sight glasses offer an opportunity to monitor the oil. Generally, oil sight glasses come in two styles. 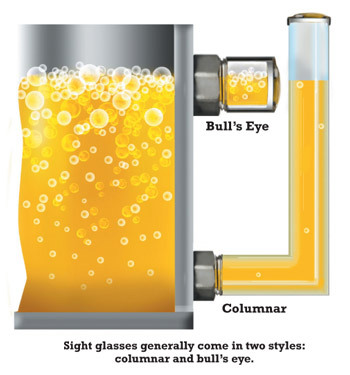 Columnar sight glasses attach to an oil-bathed component, typically at the drain port. They have cylinders made of a transparent material (glass, acrylic, some plastics, etc.) in which oil is free to fluctuate up and down with the change of the oil level within the machine. The second style is known as the “bull’s-eye” sight glass. It also is made of a transparent material but is threaded into a port where the oil level should be maintained during operation. Each sight glass has its own strengths and weaknesses. Columnar sight glasses are great for reading the oil volume. Since it is piped into the machine at a low oil level, the level in a sight glass can usually be seen even when the oil volume is low. 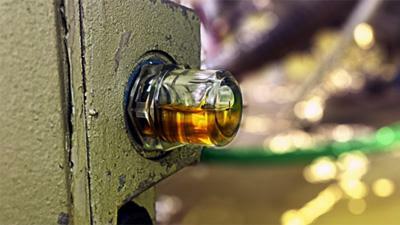 The appropriate oil level must be marked on the sight glass so you can tell if it is correct. 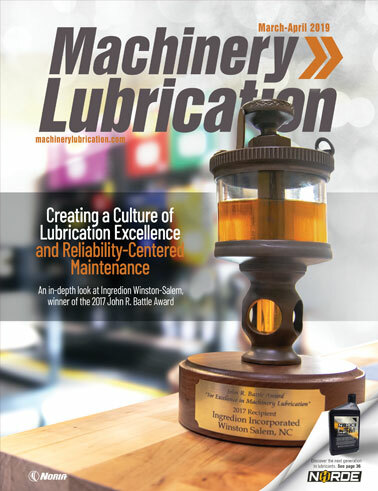 There are other oil level indicators that should be mentioned but that don’t necessarily represent best practice for a lubrication program. 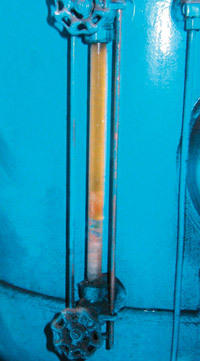 Dipsticks have been utilized since someone had the great idea to put a metal rod into a volume of oil to check its depth. These devices are easy to use and can tell you where the oil level sits. They also allow you to perform a blotter test with the oil that comes off them. The problem with dipsticks is that you have to open the machine component to the outside atmosphere to check the oil volume. This gives airborne particles a direct source for ingression. Not only can airborne particles fall in and contaminate the system but also any dirt or debris that may be on the cap when you remove it to pull out the dipstick. Level plugs are common for machines that hold a smaller amount of oil. These are threaded plugs that are unthreaded from the machine case when the oil is being refilled. Once the oil begins to drip from the oil plug, it has the proper amount of oil in the sump. These are great for refilling purposes, but once again the machine is open to the atmosphere and at risk for particle ingression when these devices are used. The same goes for systems in which you must open a hatch or cap to visually check the oil volume. Any time you open machine components to the outside, you have to be aware that you are giving dirt and contaminants a chance to enter them. Devices like these should be avoided whenever possible, and equipment modifications should be made to accept either a columnar or bull’s-eye sight glass. When plumbing in this device, you must make sure there aren’t any “goosenecks” or traps in the piping that would enable the oil level shown in the sight glass not to be representative of the volume in the sump. There are more hardware requirements with these types of gauges due to the fact that they are externally mounted. They also need to be able to “breathe.” Some manufacturers actually put small breathers on top of their products. If possible, it is best to pipe the top of the sight glass either back to the headspace of the reservoir or to a desiccant breather. This allows the sight glass to “breathe” if necessary without ingressing any contaminants. Another disadvantage of the columnar sight glass is that it doesn’t clearly show whether there is a foam or air entrainment problem on the inside of the reservoir. Since the oil filling the level gauge is coming from the bottom of the sump, air has a chance to detrain, preventing you from being able to see any indication of foam in the column. On the other hand, a bull’s-eye sight glass sits directly on top of the inside oil level so any foam can be seen more easily. 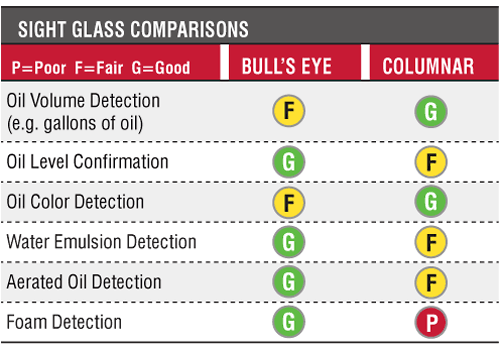 Bull’s-eye sight glasses are great for confirming that the oil level is correct. Since there is no piping or potential to create a trap, whatever level is seen in the bull’s eye is what the oil level actually is. One drawback to these gauges is that it’s hard to see the true oil color when looking through them. If by chance you have a very clean, unstained sight glass, then you can see the color and be on the lookout for any darkening or changes in turbidity (e.g., from oil/water emulsions). It’s not enough just to put a sight glass on a machine and walk away. These devices should be monitored. They are windows into what is happening with your oil and can give you a first-hand account of any problems that are occurring. Things like water contamination, oxidation and low oil levels can all be diagnosed quickly when these accessories are used properly. 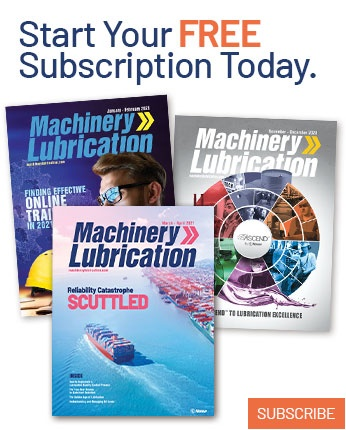 Being proactive and properly equipping components with an oil sight glass can provide peace of mind that both the oil and machines are healthy.